Macauley Jones set the pace in Friday practice for Round 4 of the Dunlop Super2 Series at the Watpac Townsville 400. A late 1:14.2698s from the Brad Jones Racing driver in Practice 2 was the day’s best. Jones was third in the morning session, in which MW Motorsport’s Garry Jacobson led the way with a 1:15.1328s lap. Fresh from a wildcard Supercars start at Hidden Valley last month, Jones vaulted from 18th to first with two minutes of the day’s 80 of running remaining. With that, he displaced series leader Paul Dumbrell to finish 0.1171 seconds clear at the top of the order. 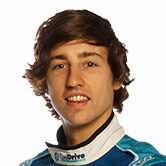 Jacobson was 0.1243s adrift in his Nissan in third, having shaded MW team-mate Alex Rullo by 0.0045s in Practice 1. Like Jones, Brodie Kostecki leapt up the order in the closing stages of Practice 2 to take fourth for the day, ahead of Chris Pither, who grabbed three places with his final lap. Dean Fiore, Will Brown, Alex Rullo, Kurt Kostecki and Shae Davies rounded out the top 10, Brown having led for the bulk of the afternoon’s 40 minutes before the late frenzy. Fiore was responsible for Super2’s only red flag of the day, in Practice 2, when his Nissan stopped on track with suspension problems. Having switched from Matt Stone Racing’s second Falcon to Todd Hazelwood’s 2017 title winning Commodore, Bryce Fullwood was 15th, 0.7986s off Jones’ benchmark. 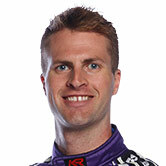 Thomas Randle was the best of the rookies in 16th, with series returnee Gerard McLeod 23rd for his new operation with an ex-Lucas Dumbrell Motorsport Commodore. Randle was fifth in the morning’s opening session in his Tickford Falcon, and the only Ford inside the top 10. ARMOR ALL Qualifying will take place at 11:25am Saturday, followed by Race 1 at 2:30pm local time.